They are super easy to make – we were able to complete them so quickly most of us went ahead and made two! You can fill them with water for a true snow globe or you can omit the water for more of a wintery terrarium, which I chose to do. I found mine at Joann craft store. I think they are meant for the little holiday villages people create on their mantel, etc. Wash your glass jars with warm water and soap and dry thoroughly. If there are any labels on the jars, remove them. If you want to paint your lid, lightly sand it and apply several coats of multi-surface craft paint, allowing time to dry in between coats. 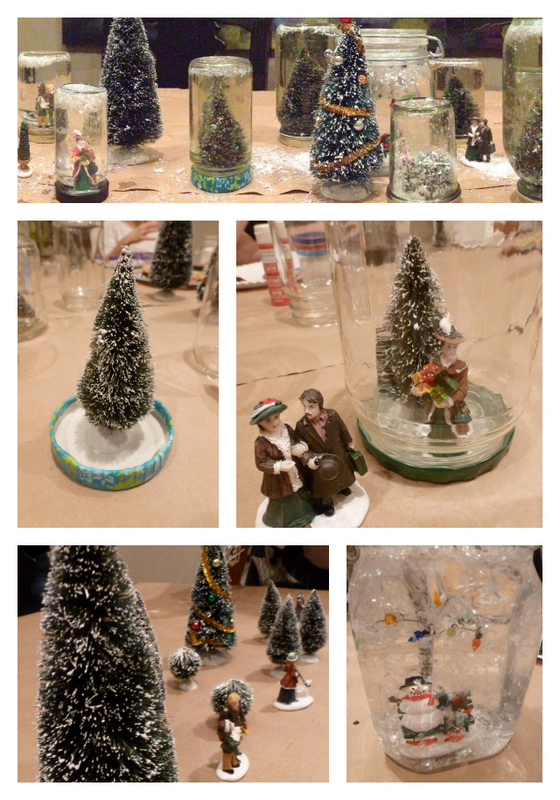 Have fun playing around with different groupings of your bottle brush trees and figurines. 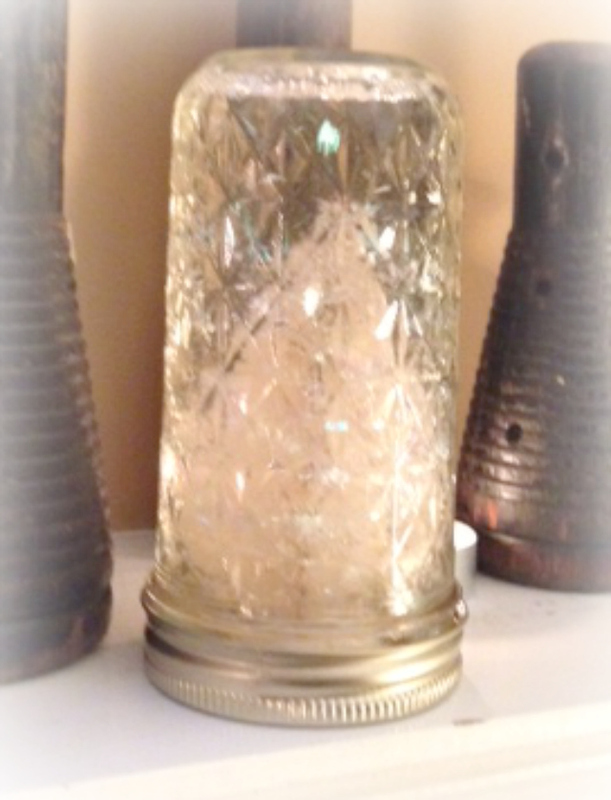 Once you’ve decided on what you want to put in your jar, glue it to the inside of the lid and let dry thoroughly. 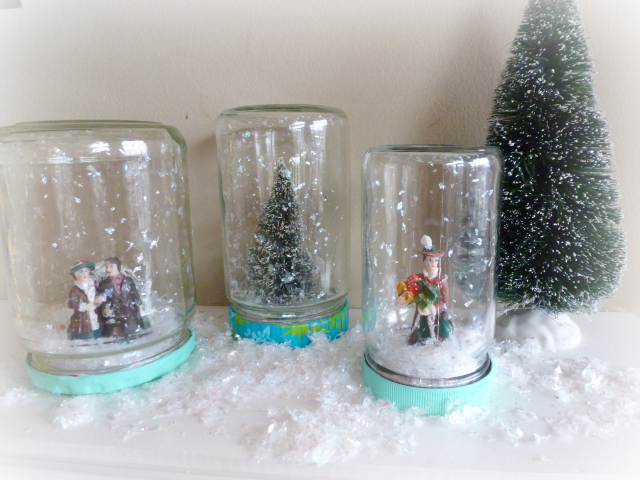 Fill the main jar with just a little bit of snow (you can always pour some out if you start with too much) and then screw on the lid. If you want to add water, fill the jar, screw on the lid, and start shaking! 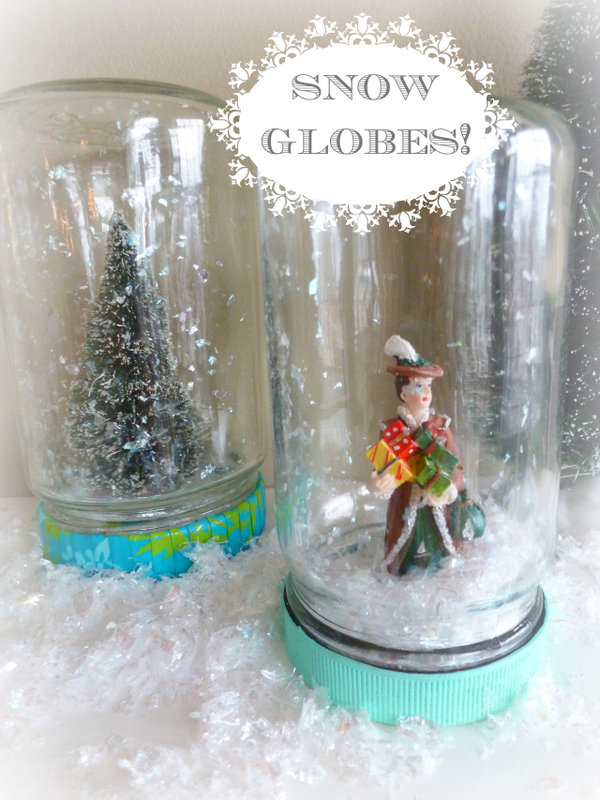 Finally, we found that when we added water to the snow globes with bottle brush trees, the water started turning a little yellow after awhile. However, my friend Patti tried adding a drop of bleach to her snow globe, and not only did it clear up the water, it turned her entire tree a beautiful snowy white. Check it out! Do you follow Design Improvised on Twitter? If not, you should! You can follow me @dimprovised.